The Clyde, Rangers and Dundee manager never complained about what might have been. 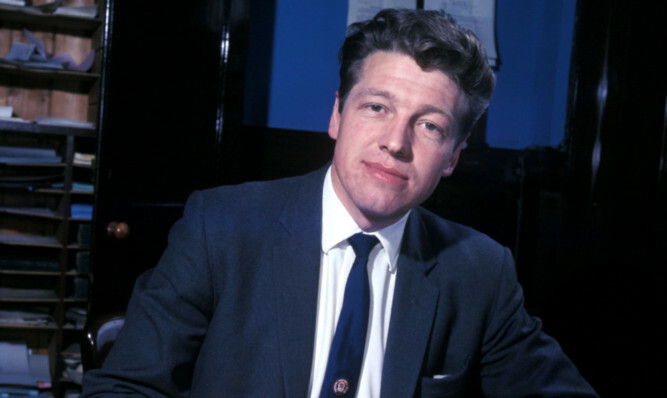 The passing of Davie White last week, aged 80, brought back the oft-asked question of whether he was harshly sacked as Rangers manager in 1969 after just two years, 26 days. In both of White’s two full seasons in charge, the Light Blues finished second to Celtic. The first time there were only two points in it, with Rangers losing only one league game all season and on the final day of the campaign at that. Unfortunately for White, Celtic were in their pomp under Jock Stein and en route to winning nine successive titles. When Rangers lost the 1969 Scottish Cup Final 4-0 to their Old Firm rivals, the writing was on the wall for White. Although he returned to manage Dundee three years later, and led them to a League Cup Final triumph against Celtic, White was never the same man. His treatment at Ibrox undoubtedly dented his confidence. White’s finest managerial achievement came in his first season as a boss when he led Clyde to third place behind Celtic and Rangers in 1967. An incredible achievement for a part-time club and a rookie boss. Clyde thought they’d qualified for the Inter-Cities Fairs Cup until UEFA pointed out only one entry per city was permitted. As Celtic had won the Treble, Rangers required the Fairs Cup route to play in Europe. Clyde argued they were from Rutherglen, not Glasgow. Unfortunately UEFA refused to wear that! White never bemoaned the hand fate dealt him, either at Rangers or Dundee. The irrepressible Stein was an impossible act to topple. During Celtic’s nine-in a-row era, Rangers employed Scot Symon, Willie Waddell and Jock Wallace, as well as White as managers, yet none of them gained the upper hand on Big Jock. At Dundee, White replaced his former Clyde manager John Prentice. But Jim McLean’s influence lingered, despite quitting as Prentice’s No 2 for Dundee United. Dundee players preferred McLean’s methods, and there was always an awkward atmosphere. Not long after White’s wife Jean died at an early age, he turned his back on football completely in 1977. I still phoned him regularly, and not once did he ever complain about what might have been. He refused to bear grudges and never blamed anyone. Not many modern-day managers can say that.